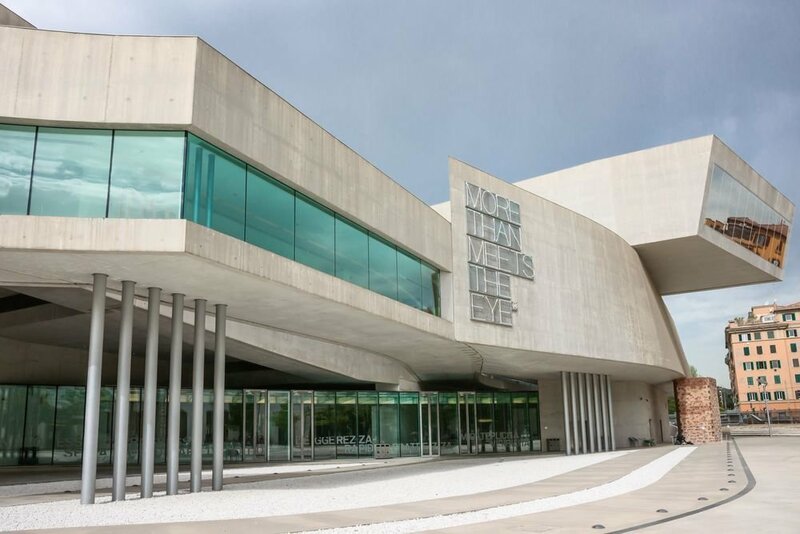 Hadid described this museum as "not an object-container, but rather a campus for art" where flows and pathways overlap and connect in order to create a dynamic and interactive space. Entering the atrium, the main elements of the project are evident: concrete curved walls, suspended black staircases, and an open ceiling that catches natural light. By implementing these elements, Hadid intended to create "a new fluid kind of spatiality of multiple perspective points and fragmented geometry, designed to embody the chaotic fluidity of modern life."